We started out to doing a site survey and created a creative photo documentary of the houses and their very different neighbourhoods. Based on those results we developed brand identities for the two projects including logo designs, marketing folders and a web-design that work for both projects. Together with Delphis and in a creative process we chose one of our proposals for each project to further refine these. So to set the right kind of look and feel we created a mood board for each image we rendered. We, the hunters and gatherers of the new age, searched, collected and selected material to define the vision and the look of the projects. This approach was worth it. By simply pointing at the preferred mood images, everyone got a clear direction of the way to go. 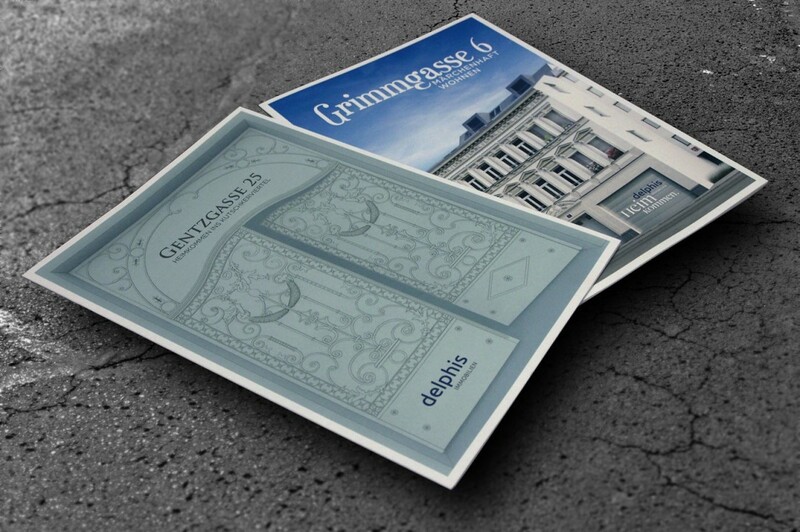 The sales folders were 8-pages with distinctive covers to show the uniqueness of each project and a big centerfold of an interior of the two penthouses. The four pages on the inside explained the projects in more detail and showed every valuable asset of each project. 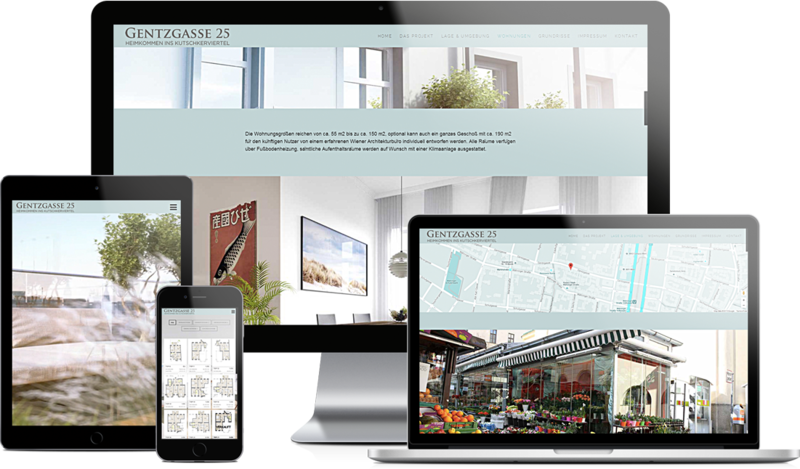 A print layout with an open mixture of words and images created a light and modern feeling – something we also kept on the websites. 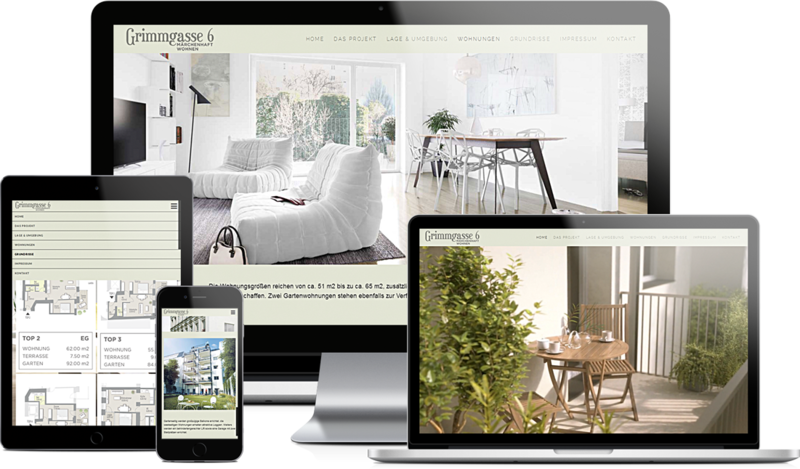 The base was a responsive and parallax scrolling wordpress template, modified and with customized features for easy maintenance by the client.